Lock in a great price for PortoBay Marquês – rated 8.9 by recent guests! The bed was super comfortable. The people working the front desk were nice to me at every turn (from check-in, looking for directions, check-out). The location was ideal since I opted to either walk or take the underground metro (literally around the corner). And to top it all off, the sauna was lovely as well! I like the speaker in the room. I like how they put alot of magazines and information card in the room. And the info card, magazines are all well designed. I like the theme color blue chosen by the hotel. The staffs at breakfast area were very friendly. Breakfast was good too. the staff was extremely helpful and kind. The rooms were clean, and the roof-terrace/gym was efficient.also the location of the hotel was pleasant. Uber rides to the downtown area from the hotel were only about 4 euros. This property is convenient, quiet, well decorated. The breakfast was adequate but not exceptional. The female staff were very helpful and friendly. The male staff were abrupt and not particularly helpful. Check in was a breeze and the staff were very helpful in providing recommendations for sights and dining options. The room was very cozy and had nice high-end finishes. Great bathroom as well. We ordered room service and the staff were very polite and the food was great. The room was excellent. Beautiful modern comfortable shower. Staff was friendly and welcoming. Location is great. Breakfast is amazing! The room is very clean. All the stuffs smile so friendly whenever they see us. Comfort and size of rooms. Suite very well laid out. Location of hotel. Good value. Friendly staff. PortoBay Marquês This rating is a reflection of how the property compares to the industry standard when it comes to price, facilities and services available. It's based on a self-evaluation by the property. Use this rating to help choose your stay! Featuring a rooftop terrace with a plunge pool, PortoBay Marquês is located right next to Avenida da Liberdade, in Lisbon. A sauna and a steam bath are also available. 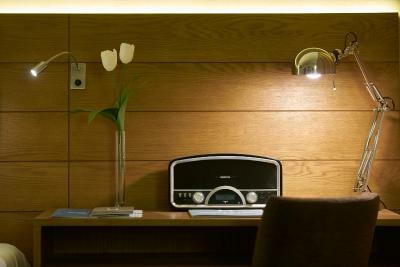 Rooms feature neutral shades, a 40-inch flat-screen cable TV and tea-and-coffee making facilities. 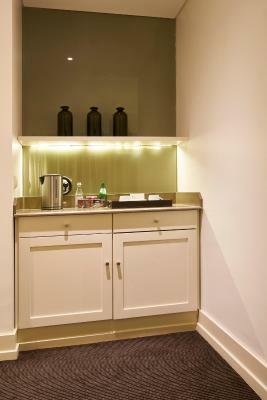 Suites include a wet bar, and all bathrooms come with Ritual’s toiletries. The industrial chic design restaurant is open for lunch and dinner, and breakfast can be enjoyed from 7:00. The rooftop bar offers city views, and the lounge bar and terrace invites guests to relax. After a day exploring Lisbon, guests can unwind at PortoBay’s indoor and outdoor gyms. Both Chiado and Rossio are within a 15-minute walk, while the iconic São Jorge Castle is 1.6 mi. Lisbon International Airport is 4.3 mi from PortoBay Marquês. When would you like to stay at PortoBay Marquês? This air-conditioned room features a flat-screen TV and a mini-bar. The bathroom includes toiletries and a hairdryer. Please note that the 3rd guest will be accommodated on a sofa bed. This air-conditioned suite features a separate seating area. 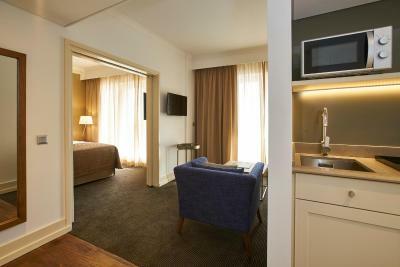 The room is equipped with a flat-screen TV, a microwave and a mini-bar. The bathroom includes toiletries and a hairdryer. This double room has air conditioning, electric kettle and mini-bar. This room has interior view. Maximum occupancy: 2 people. There is no capacity for children or extra beds in this room. Hotel surroundings – This neighborhood is a great choice for travelers interested in monuments, friendly locals and architecture – Check location Excellent location – show map Guests loved walking around the neighborhood! House Rules PortoBay Marquês takes special requests – add in the next step! PortoBay Marquês accepts these cards and reserves the right to temporarily hold an amount prior to arrival. 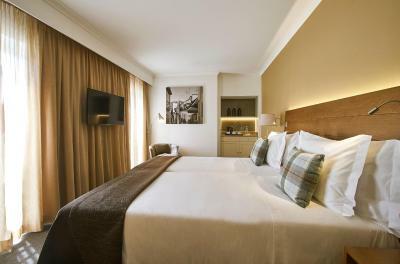 Please note that baby cot and extra bed policy and charges vary by room type. More details for each room type can be found in the respective description. - WiFi access is free at a speed that can reach 2 MB per second. Good location. Nice and pleasant personnel who cares about your comfortable stay in the hotel. 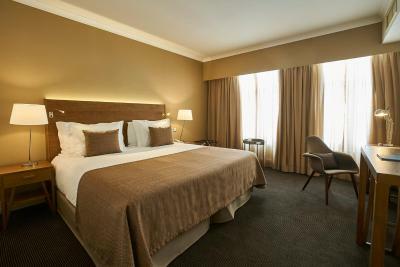 Room is comfortable with almost everything you need during your holiday in Lisbon, though not very spacious. If you are not in business trip, I suggest having breakfast each morning in a different place - just google to find something tasty nearby. We stayed in a junior suite. It was well laid out. Plenty of room. Staff were very friendly. No view from my room. Kind of dark. Window facing a wall. Excellent warm nice staff at the reception desk. Clean, confortable room. Good facilities included. Good position to explore the city by foot. Close to metro station. Other than everything being above and beyond, the staff are truly a stand out part of this hotel. I've never experienced such caring and helpful staff in any other hotel. Does not have a chain hotel feel, and really makes you feel at home from the first day. Kudos to everyone at the reception and the rest of the staff. Lighting in the rooms could be improved, additional options for breakfast could be added. Staff, location, cleanliness excellent. We were even upgraded to a bigger room at check-in for free. Every staff member was friendly, helpful, genuine and knowledgeable. We were upgraded to superior rooms, which were excellent! Not much. The pool was a bit cold for a 'heated' pool and it is blocked from the sun by a large wall which doesn't help. 15 euros is a bit steep for breakfast but that can be avoided by eating in one of the many local cafes. 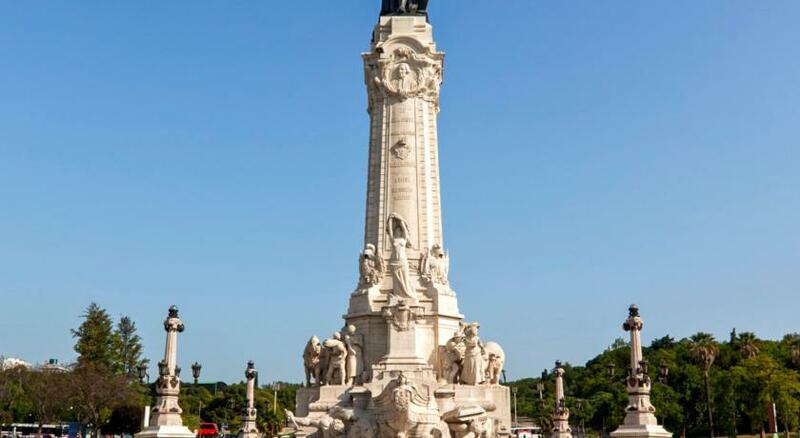 The location is excellent, right next to the metro station at Marques de Pombal, which makes access to the Airport and the rest of the city very easy, but it is far enough from the nightlife to still be quiet. The staff were fantastic and full of ideas about where to go. We did not have the breakfast as we felt that 15 euros was a bit steep and there are a lot of cafes close by to get a coffee and breakfast for less. However, we did have dinner one night and found the food and service to be excellent and very reasonably priced. We were staying for my wife's 40th birthday and the staff put together (at short notice) a beautiful cake made up of doughnuts, muffins, cream and fruit. Our whole group were given upgrades to 'superior rooms' which were fantastic. The rooftop terrace is lovely in the sunshine, although the pool could have done with being a bit warmer, and the honesty bar is a great idea. The sauna and steam room were also fantastic. Overall the hotel and staff were amazing and I will definitely stay here again, I would have no hesitation in staying in any PortoBay hotel based on my experience here. The facilities are really poor when you look at what's offered online i.e. gym, sauna, steam room, etc.